This one takes a bit more time, but I like the results a lot better. I started with two pieces of denim about 6"x5" Again, I am still working on the huge pile of old jeans I have stashed in the corner of my bedroom. I pinned the pieces together with the right sides together. 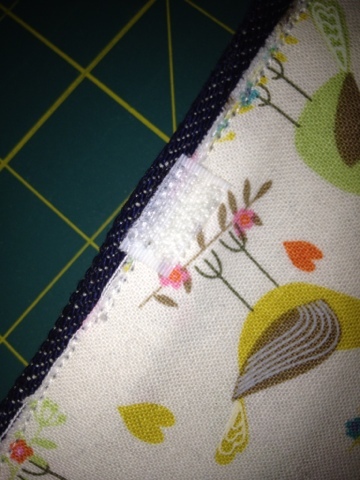 Then I sewed around 3 sides, leaving one side open. 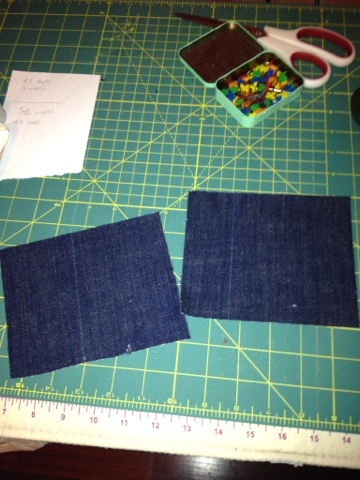 After turning the denim pouch right side out, I cut out a piece of stiff paper (like a file folder) and cut it to size, and tucked the paper inside the pouch. 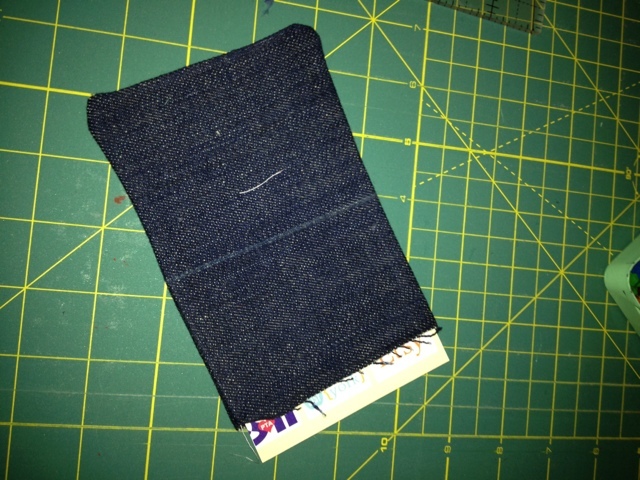 Then I sewed up the open side, and folded the pouch in half. 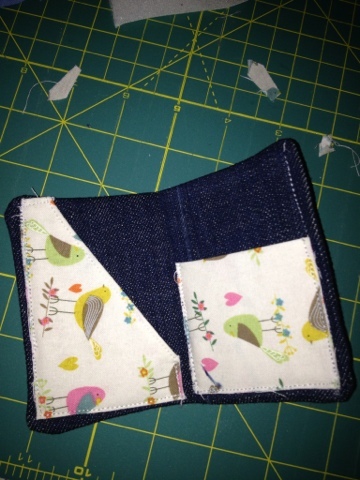 Then I cut out two pieces of fabric and sewed it to the inside of the pouch to create pockets. 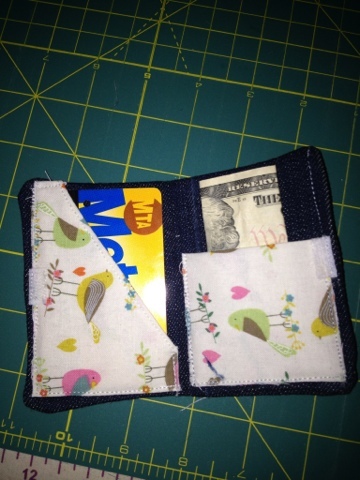 I like two pockets...metro card on one side and a bit of cash (or credit cards) can be placed in the other pocket. For a bit more security (especially if I am storing cash) I added a bit of velcro on the sides. 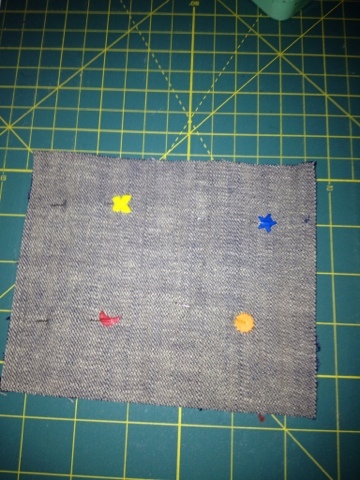 I cut out a small square, glued it in place, then gave it a quick stitch, just to make sure it stayed in place. This way, when I close the billfold...it stays closed! ok, nordea, i want one of these! i hate that i lost my plastic one, but this is cool.